Hello from the RHDJapan blogspot and greetings from the RHDJapan crew. March has finally come and it seems to be warming up nicely here in Osaka! After the other major Auto Shows comes Nagoya Auto Trend which will be happening this weekend! Will Toyota have something special for the hometown show? We sure hope so and will be adding coverage to the RHDJapan Facebook wall as it becomes available! 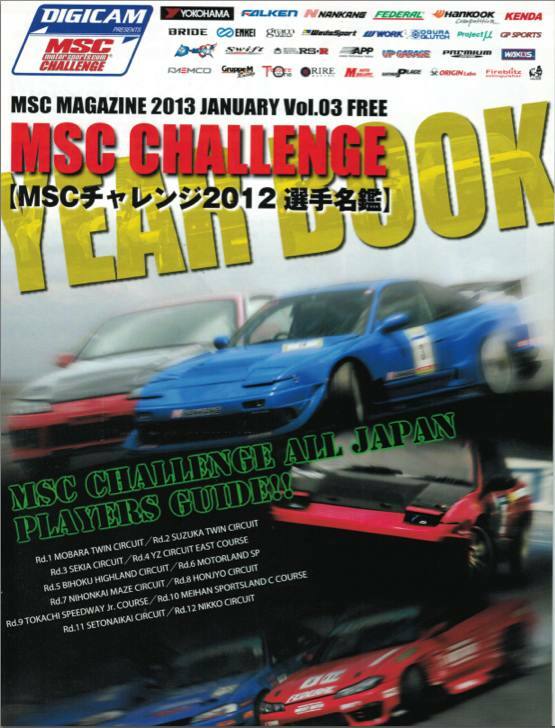 We still have some copies of the most recent MSC Challenge Yearbook and they will be available on our site until gone for only JPY1! We will be having a campaign in support the sponsors who help make this drift series possible. The campaign will be on going until the MSC Challenge Yearbooks are all gone!